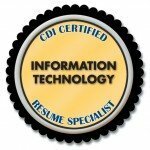 Congratulations on making the decision to renew your Certified Resume Specialist (CRS+X) credential. Two industry resume samples of your choice. The resumes are to be for different positions within the industry to showcase your versatility. The choice is yours as long as the resumes you submit demonstrate the breadth of your expertise in that field.